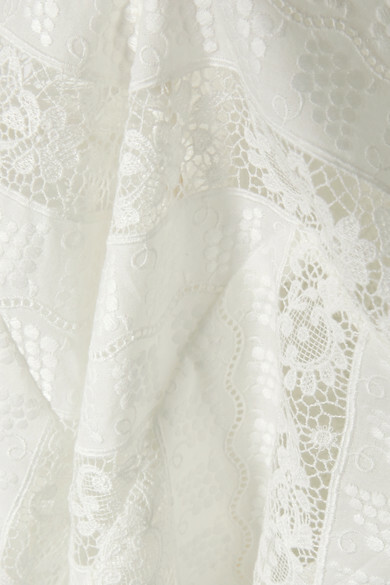 Nothing gets us quite ready for spring like a white lace blouse, especially one as pretty as Zimmermann's 'Veneto Lantern' style. 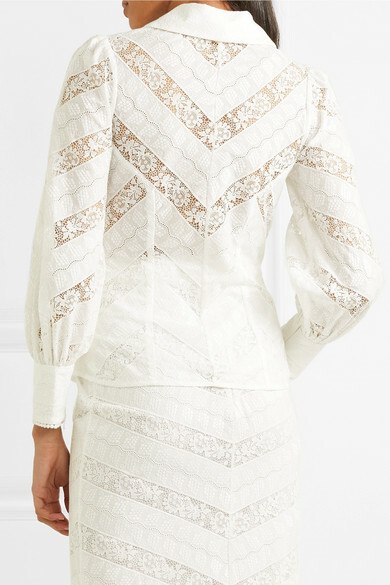 It's pieced together from panels of sheer lace and broderie anglaise to create a striking chevron pattern. Wear it on balmy vacations with the matching skirt.